Sometimes small flock owners—once they hear about biosecurity—feel unable to turn left or right. Some feel that their hopes and dreams of keeping a happy flock of chickens running around in their yards are dashed to pieces. If this describes you, hang on and hold up for just a minute: How do entrepreneurial free-range flock owners do it? How do they maintain profits and still maintain effective biosecurity measures in their daily routine? 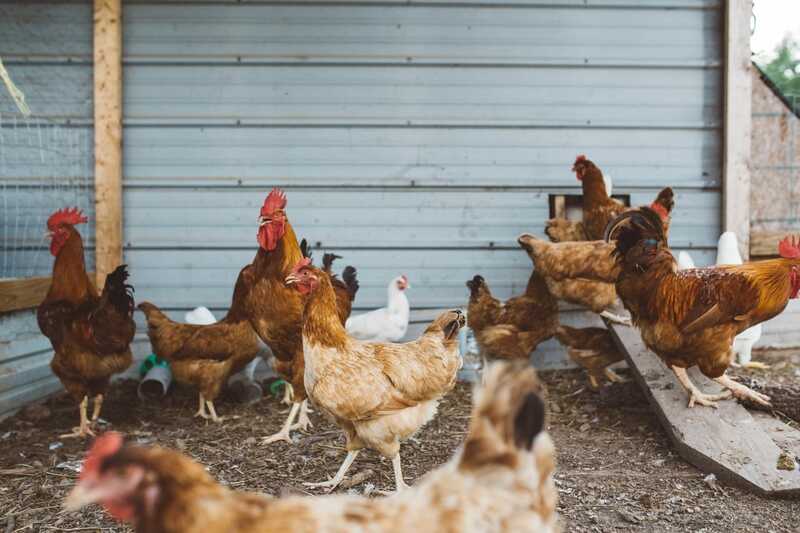 Whether you are keeping chickens for fun or for profit, you can apply the principles of biosecurity into a free-range setting. It means that you will be faced with more work, but the rewards of a healthy flock are worth your time and effort. We will be discussing a couple of measures from each of the seven fact sheets that you can put into place by reading this article. The full fact sheets are available for free online at the Delaware State University Center for Small Flock Research and Innovation website. One of the fact sheets on the state poultry diagnostic lab is specific to Delaware. One of the first things that makes a veterinarian cringe is the thought of exposing an animal to a disease vector. Vectors are creatures that can bring disease onto your property. And, clearly, wild birds can make your flock sick by carrying a variety of different organisms that can be detrimental to your happy and productive group. So how can you keep a free-range flock free of wild birds? It seems like it would be an impossible task, especially with larger flocks. One of your tactics will be to avoid giving wild birds a reason to stay. It may be acceptable for them to fly overhead, but don't give them an excuse to stop for a while. Why do wild birds stop in? It is either for food, water, or shelter. Deny them these three things, and they will move on. That may mean changing your feeder, waterer, or housing style to some degree, but remember—it's all for the benefit of your flock’s overall health. Mice and rats are well-equipped for taking advantage of man-made systems and structures. They are, however, creatures of habit, and you can use this to your advantage. Check regularly for rodent feces in your feed room. You can even spread a little flour on the feed room floor in the evening to look for any new tracks by morning. Keep your feed under wraps by placing it in a trash can or by putting out bait stations that your flock can't access. You have a variety of rodenticides (rodent poisons) that you can choose depending on how bad the problem is and how much access your chickens have to various parts of your property. Establishing a routine of activities around your property is one of the first and easiest forms of biosecurity. Always visit your youngest birds first before moving on to older flocks. Never reverse the process during your morning and afternoon routines. If you do visit your flocks twice daily, then be sure to wear clothing that can be cleaned weekly (e.g. footwear, overcoats, and hats). If you have visitors because of a farm business, then make sure they park far from your flock. It is up to you to think of what you will tell people if they come to your farm and have been near any pet birds (like canaries and parrots), poultry (such as ducks, geese, and guineas), or even wild birds. You need to think through what you will ask people and what you will do based on their responses. You do not want to make a customer feel bad because they have been in contact with other these birds—you definitely want them to be a repeat customer. Determine effective—and kind—alternatives or options to provide if they have been exposed beforehand. Outside of traffic patterns, posting a sign and buying a lock are both easy biosecurity measures. If you want people to use a foot bath, then post a sign explaining how to do so. If you have a sick pen or special quarantine area that you'd like people to avoid, place a lock on it. These are simple procedures to help direct people to your door. Your customers may be willing to stop by weekly to buy eggs, but you may prefer to take them out to see your flock rather than discover them wandering through your property. Keep your wording positive and you will offend no one by placing a sign on your coop or the gate to the poultry yard. While you may understand the principles of biosecurity, most folks don't. Use locks and signs strategically to keep your flock happy and healthy in the setting you've thoughtfully provided. Many people think that foot baths are an impossibility for pastured poultry. Think again. The only real modification is a lid. Get that foot bath in a container that has a lid to keep out animals, yard debris, and sunlight. Keep in mind that a plastic tote with a lid in the form of an under-the-bed storage container will have short sides and be light enough to manage when it needs refilling. The only drawback is likely to be a water source for refilling the foot bath. It may mean that you mix the disinfectant in a five-gallon bucket and walk it to the foot bath, but it's still a good measure to have in place. Lead by example, and show everyone who goes into the pasture how to use the foot bath. The procedures that are used for any small flock coop are no different than those of a larger pastured-egg flock. You will clean after each flock is sold or processed. Additionally, you have an annual cleaning that should be very thorough. Mix and use disinfectants according to label directions after removing birds and equipment from the coop. A disinfectant is not an excuse for using elbow grease. A power washer is also a most "egg-cellent" investment. Thinking things through ahead of time is part of a good biosecurity plan. If you assume that sickness or injury will never visit your flock, then you are not being realistic. Something, somewhere down the line will harm your birds, and you will need to isolate them from the rest of your flock. What will you do? Where will they go? Who will you call? In the case of an illness, you will need to call a vet, so do your homework ahead of time. 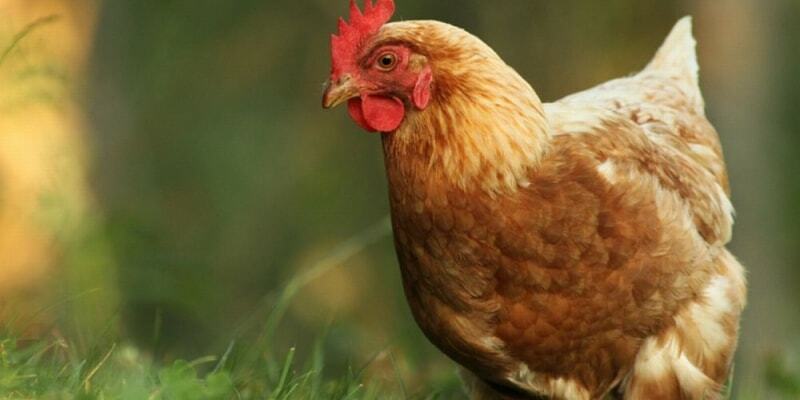 Vet bills for poultry are amongst the most expensive out there. Do you have a rainy day fund for chicken vet bills? You should visit your quarantine area last in your daily routine. Keep a sick log in the quarantine area and write down your daily observations and treatments. That way you will not need to try to recall the last time your chicken stood up or when their last dose of medication was—it will all be written down for you. It is less expensive to plan, prepare, and prevent than it is to pay an expensive vet bill. If you are not feeling up to the task today, then give yourself a goal of doing your homework and making changes monthly or quarterly. Write it down and commit to making a change. Your flock will thank you for it!